Woodland Park Zoo Blog: Hey, isn't that...? Maybe you’ve spotted your best jaguar portrait flashing in our blog sidebar, or perhaps a photo of your kids enjoying the historic carousel. Wonder how it got there? We’re now sharing your zoo photos on our blog! To join in, all you have to do is upload your best zoo photos to flickr.com and tag them with the phrase “woodlandparkzoo.” They’ll be automatically added to our photo slideshow. Not a flickr user? 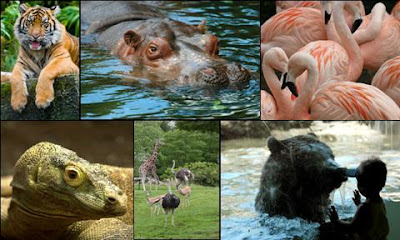 You can also add your zoo photos to our Facebook fan page!